By investigating the topics that are relevant to organisations in the sector, we aim to inform while stimulate debate and discussion. 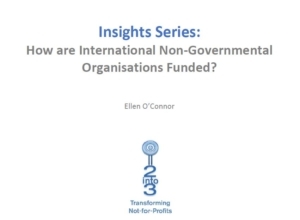 Insights Series: How are International Non-Governmental Organisations Funded? Thought Piece: In a Saturated Donor Market, Is Data Sharing Essential or a Threat?